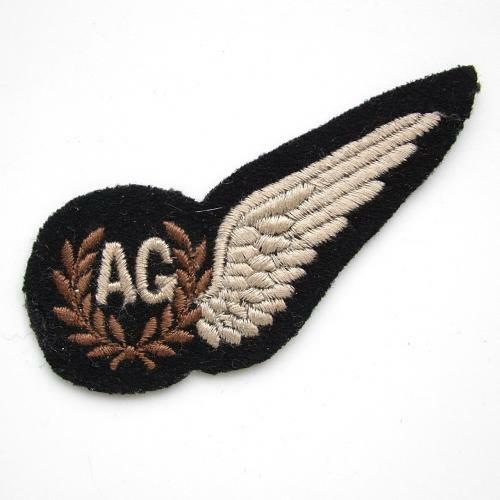 Lovely flat 'AG' brevet manufactured with oatmeal thread on black felt. Excellent condition. Belonged to flight sergeant R.A.L. Mackay. Stock code U16749.